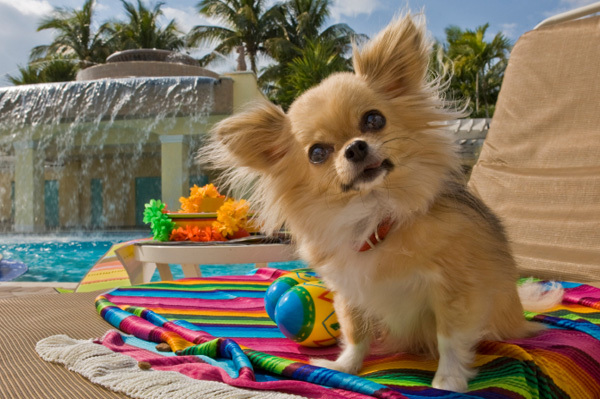 While many hotels and guest houses are becoming more pet-friendly and have some very amazing and nice gift packs for four-legged guests – and hotels aren’t your only lodging option. Especially if you’ll be in one place for more than a few days, a vacation rental can be an excellent choice. Can save money – If you plan on an extended stay you may be able to negotiate a lower rate with the person or company who rents the house. In the end, that can save you some more money than hotel as well as offer more comfort. A little more privacy – The nice part of staying in a house is that you have some more privacy. Your dog might bark but the neighbors may be far enough away that it doesn’t disturb them. Special needs can be met – Does your pet take medication? Do you feed a raw diet? Being able to store special items like medications or food in a fridge without fear of it being thrown out is a relief. Being able to set up the things your pet needs without worry can make your time away even more enjoyable. More room! – This is a great reason to rent a vacation home. The kids can have their own room and bed, you can have yours, and your pets can have their pet beds set up whereever it makes sense. Have a group of friends? Hopefully no one ends up on an uncomfortable cot or on the floor. Reduces Anxiety – Although your dog may be super friendly and well behaved, having a home where everyone can relax and unwind after a day out makes it better for everyone including the dog or cat. Some cats and dogs may still be uncertain of the new place but since it’s not as busy as a hotel, they may settle in faster. Free Laundry – Most hotels have a laundry room but you must pay for it. Vacation homes tend to have a washer and dryer for you to use and that’s extremely convenient. If your pet’s bedding needs to be washed you can do it without spending extra money. Just always be mindful to clean the lint traps. Establish a routine – Live like a local or like you do at home can help your pet adjust and not be as anxious as they might be in a hotel with strange smells, sounds, and unknown items. Renting a vacation home means you can bring more of the creature comforts and lay them out as needed. Just remember to clean up. We list many hotels on here but we also have an ever-growing list of vacation rentals for anyone who is looking for a getaway. If you’re heading to the Outer Banks of North Carolina, check out the great vacation rentals that are all pet-friendly. Rates may vary from season to season and it’s always recommended to book your stay as early as possible. For those of us in the Pacific Northwest, the Oregon Coast is incredibly beautiful year round. Looking for a weekend getaway but don’t want to stay in the hotels? Then look at the cute rentals in Seaside, OR and nearby areas. Have a story to share about renting a vacation home or a recommendation? Let us know and help us expand our listings!